Clean up kitchen after meals on various days. Participated in street side Prayer Station in Castries. I had several opportunities to interact with, pray for and counsel seekers as Father directed. Presented the gospel to a Father, who had His infant son with him. He asked for prayers and in the process responded to God’s call to follow Him. Conducted a Workshop on “21st Century & Beyond Parenting” at the YWAM’S camp base on August 25th, 2018. Visited churches for mobilization and intercessory prayers for international ministries and the nations on Wednesdays and Sundays. Clerical : Entered in kind items donated to YWAM by members of CUMC; the Lehigh Acres Community; Center, Amazing Grace Family Worship Center; Manager & staff and residents of Heron Pond Apartments and other Lehigh Acres residents in a log. Entered distribution of these items made by YWAM to fire victims and back- to - schoolers. Cataloged donated books in library system. 2- To reap and restore the subsistence crops plots Eg. Pigeon peas, bananas and various kinds of peppers tomatoes, scallions and cucumbers. 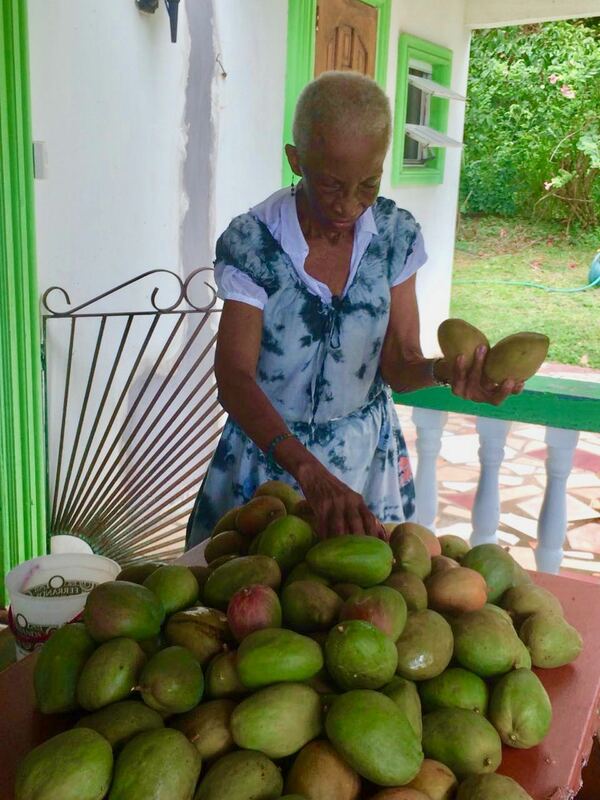 3- To reap the mangoes and Guanabana (Sour Sop) to prevent waste by the birds and squirrels. Climbing mango trees at 80 year. was more exhilarating than climbing in my youth although infinitely more risky. This old lady likes, “Reckless abandonment for the benefit of Christ’s Kingdom. No alarm! We took the necessary precautions. 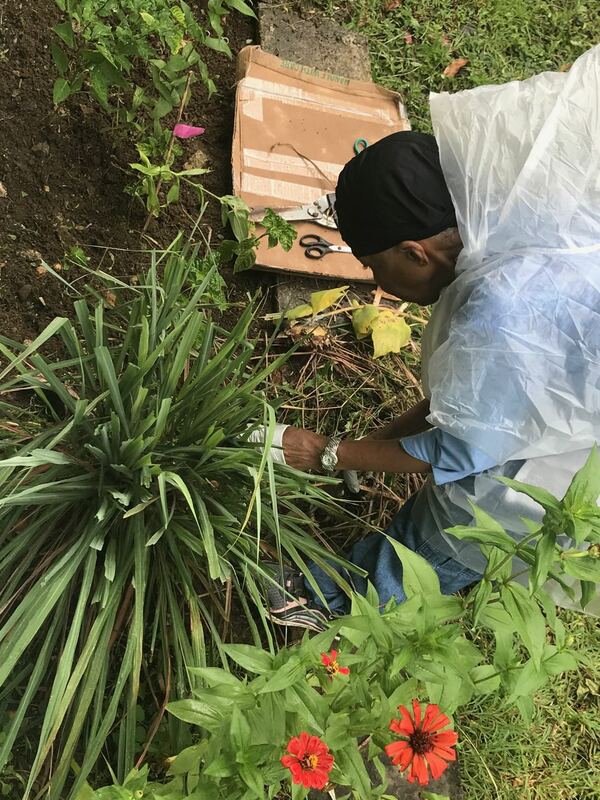 The overall aim of the garden project is to help the YWAM – SL ministry become self sufficient by producing more of the food they consume at YWAM - Saint Lucia . Plans are being made to acquire property for this sustainable development. Research is on going to discover similar subsistence projects and systems world wide and to emulate what works and to originate others.